When it comes to Newport, the first thought that comes to many minds is that of big houses. The Newport mansions were all initially built as summerhouses to the wealthy (must have been nice, huh?). 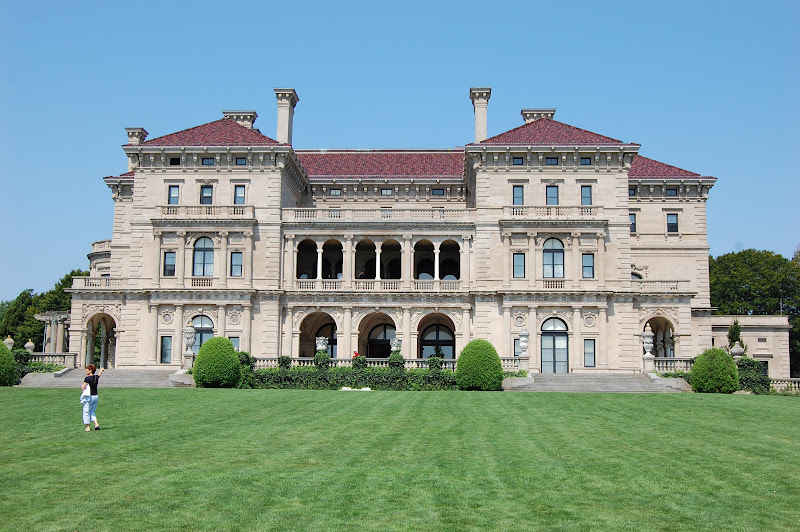 Among some of the more popular Gilded Age mansions open to the public for tours are The Breakers, Marble House, and Rosecliff. 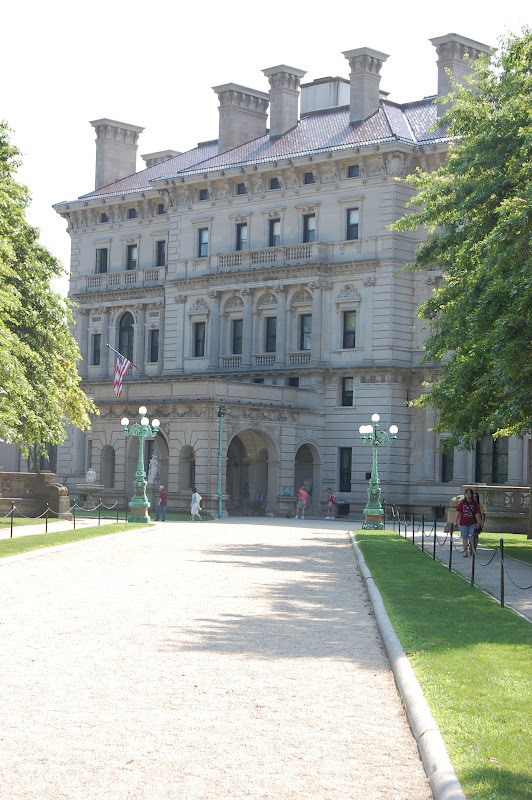 The Breakers was constructed in 1895 for a member of the prosperous Vanderbilt family and is known as the grandest of the Newport mansions. The mansion is five-stories with 70 rooms; suffice to say that the tour does take some time. Marble House was built in 1892 for another member of the Vanderbilt family and was a 39th birthday present to his wife. I wonder what she was expecting for her 40th - way to set the bar high! Rosecliff was a summer home mansion for non-Vanderbilts. It was built by a silver heiress and her multi-million shipping business husband looking for a place to suitably entertain during the summer months. Its exterior was constructed with terra cotta tiles, which have given the mansion a pinkish hue. Yes, it may be touristy, but if you haven't already, next time your in Newport, you have to at least just take a drive along Bellevue Avenue to marvel at these spectacular abodes.